The Elemen’Terre Project is a documentary series devoted to nature. through a boat trip ('Pen Duik VI'), arts and outdoor sports. The objective is also to allow a soul-searching journey. Through travel and sports we learn to go beyond our limits, we cultivate a certain mindset and we develop a stronger connection between mind and body. The concept of The Elemen’Terre Project is to discover a different place on the planet at every episode through two personalities. Each time, one artist and one athlete will join me in order to share different sensitivities and their respective visions of the world. We will travel by boat for two weeks to meet other cultures, other horizons. We will observe wild animals crossing our path and will marvel at all different playgrounds provided by nature for us to practise all kind of sports. The Elemen’Terre Project is a series of documentaries shot under real-life conditions. I do not want to force people to open up, neither do I want to perform any voyeurism. I like to take the time to discover people at their own pace, respecting their silences while enjoying every word they say. 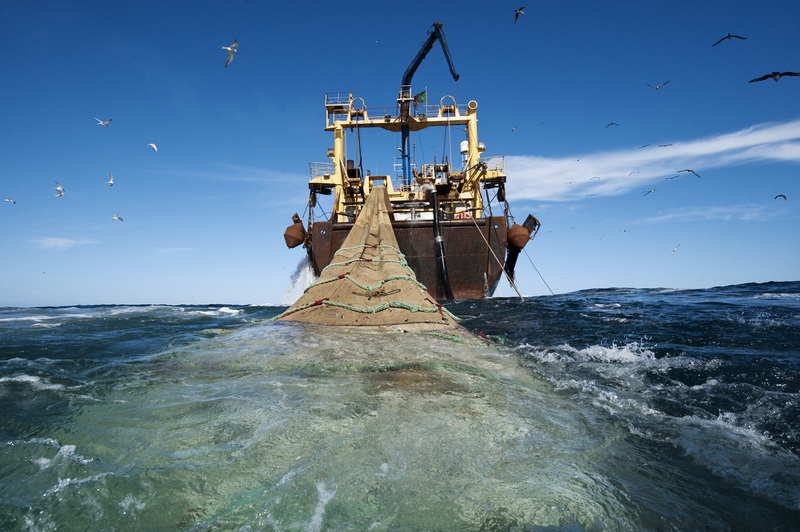 Nine of the world’s biggest fishing companies have signed up to protect the world’s oceans, pledging to help stamp out illegal activities, including the use of slave labour, and prevent overfishing. The initiative will be announced on Friday, as part of the UN Ocean Conference this week in New York, the first conference of its kind at which member states are discussing how to meet the sustainable development goal on ocean health. Goal 14 of the roster requires countries to “conserve and sustainably use the oceans, seas and marine resources”. However, little has yet been done to set out concrete commitments on meeting this target. The UN is hoping countries, companies and organisations will set out voluntary plans this week to work on issues such as pollution, overfishing, the destruction of coastal habitats, and acidification. The Seafood Business for Ocean Stewardship (SeaBOS) initiative, supported by the Stockholm Resilience Centre, marks the first time that companies from Asia, Europe and the US have come together aiming to end unsustainable practices. Although the fishing industry is highly fragmented at the local level, with millions of small boats and subsistence fishermen, about 11 to 16% of the global catch goes to just 13 companies, who are thought to control about 40% of the most valuable and biggest species. The nine fishing companies signed up to SeaBOS have a combined annual revenue of about $30bn (£23bn), making up more than one-third of that of the top 100 seafood companies. They pledged to eliminate from their supply chains any fish that could have come from piracy or other illegal sources. As much as half the world’s fish catch is thought to involve “black” or illegal fishing, where vessels trespass into other national waters, use illegal gear, catch more than their quota or target endangered species or fish for which they have no quota. These fish are often “laundered” to find their way into legal fish markets. Slavery has also been a serious problem in fisheries, as spotlighted by the Guardian’s investigation into slavery in the Thai prawn fishing industry, which found worker exploitation and the deprivation of people’s rights was widespread in parts of Asia’s fishing grounds. The new declaration binds SeaBOS members to develop and enforce a code of conduct for their operations and those of their suppliers. Fish farms have also been a cause of concern to ocean experts, with the heavy use of medicines and disinfectants causing marine pollution, and the use of millions of tonnes of fishmeal from ground-up wild fish to provide food for the farmed fish – as much as five tonnes of wild fish for every tonne of farmed. These factors undermine the claims of the fish farming industry to provide a sustainable source of fish, protecting wild populations. SeaBOS comprises: the two biggest seafood companies by revenue, Maruha Nichiro and Nippon Suisan Kaisha; two of the biggest tuna specialists, Thai Union Group and Dongwon Industries; the two biggest companies selling feed to fish farms, Nutreco (parent company of Skretting) and Cargill Aqua Nutrition; and the two biggest farmed salmon companies, Marine Harvest and the Cermaq subsidiary of Mitsubishi; and the Japanese tuna purse seine company Kyokuyo. Most of these are not household names to consumers, but their products are found all over the world. The group aims to sign up more companies, and to lobby governments to enforce better regulations, and to review its progress in a year. The ocean faces many challenges, but has the extraordinary power to replenish when it is protected. Marine protected areas facilitate resilience and recovery for degraded areas of the ocean, and offer opportunities to rebuild stocks of commercially important species. Additionally, protected marine ecosystems can offer long term economic and recreational benefits which can be enjoyed for generations to come, provided that proper enforcement and oversight is practiced within these areas. Gabon’s announcement also restricts overfishing and may help with climate resilience. The central African nation of Gabon announced Monday the creation of Africa’s largest network of marine protected areas, home to a diverse array of threatened marine life, including the largest breeding populations of leatherback and olive ridley sea turtles and 20 species of dolphins and whales. 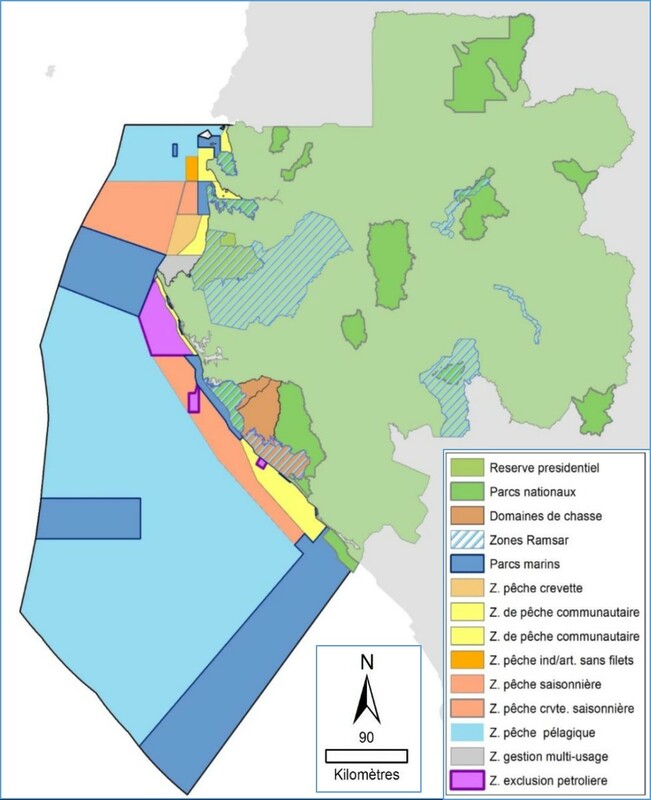 The network of 20 marine parks and aquatic reserves will protect 26 percent of Gabon’s territorial seas and extend across 20,500 square miles (53,000 square kilometers). In creating the protected areas, the Gabon government also set up what scientists call the most sustainable fisheries management plan for West Africa—an area long known for rampant overfishing and abuses by foreign fleets. 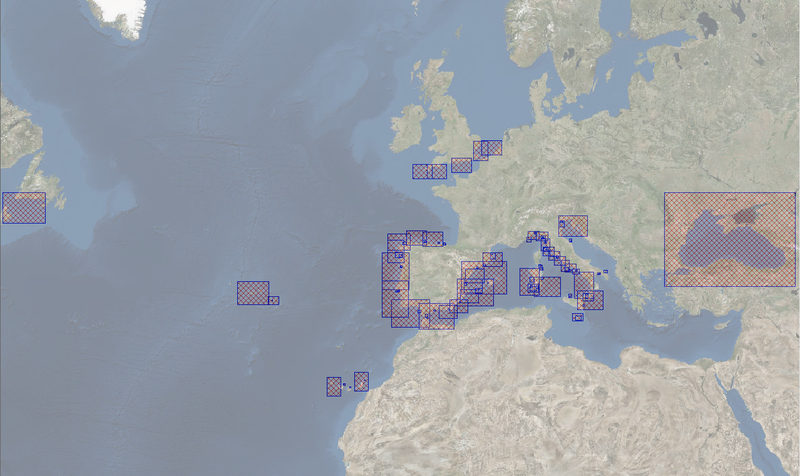 Separate zones have been established for commercial and artisanal fishing fleets, in an effort to restore sustainable fishing. The Atlantic oast in Gabon's Loango National Park is nicknamed "Africa's last Eden"
“West Africa is an area which has incredibly rich oceans, but it is being bled dry by international fishing fleets,” says Callum Roberts, a marine conservation biologist at the University of York in Great Britain. Mediterranean Marine Protected Areas (MPAs) have an important role in providing ecosystem services, mitigating the impacts of climate change and increasing ecological and socioeconomic resilience of biodiversity and surrounding coastal communities. 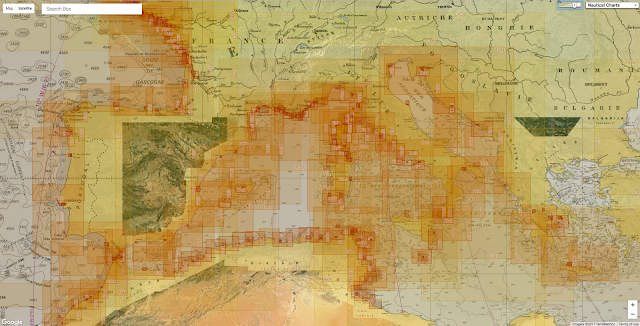 Increasing the number of MPAs and developing appropriate management actions within them are essential to maintain the natural resilience of marine habitats against climate change impacts in the Mediterranean. Roberts, who has spent more than three decades studying ocean health, argues in a new paper, published Monday in the Proceedings of the National Academy of Sciences, that marine protected areas, which already help restore fish populations, also help marine ecosystems adapt to the impacts of climate change. Large, fully intact ecosystems are healthier and better armed to adapt to what Roberts calls the “killer cocktail” of ocean acidification, intense storms, sea-level rise, shifts in species distribution, and decreased oxygen availability in the deep ocean. Reduced oxygen is already visible in the Pacific and Atlantic, Roberts says, where nutrient-poor “ocean deserts” increased by 15 percent between 1998 and 2006. “Fishing has had the greatest impact on the ocean ecosystems,” Roberts says. Roberts doesn’t claim marine protected areas help marine habitats resist climate change. Rather, he says that healthier habitats makes them more resilient. Coral reefs, for example, can’t be protected from rising ocean temperatures. But protecting reefs from overfishing, dredging, and runoff pollution can decrease the sensitivity of corals to ocean warming and help them recover from floods or bleaching events. The Chagos Marine Protected Area in the remote Indian Ocean now has a reef free from human-caused stresses that, in turn, contributed to a remarkable capacity to recover. More than 90 percent of the reef died in a 1998 bleaching event. But by 2010, the reef had recovered. Likewise, a marine protected area in Baja, California saw a ten-fold increase of predatory fish within a decade after a marine protection area was established. Networks of marine protected areas can also provide stepping stones, or safe “landing zones” for colonizing species as they move northward to cooler waters, he says. The Papahanaumokuakea Marine National Monument in the northwest Hawaiian Islands provided a “strategic refuge” for coral reef ecosystems that may be forced poleward by climate change. “When we introduce protection, the only way to go is up,” he says. 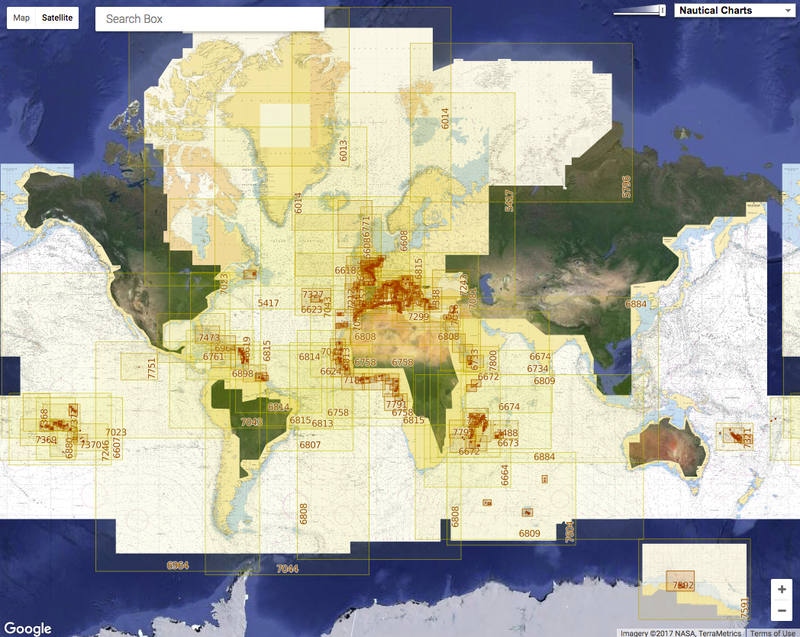 The world has 11,212 marine protected areas. But combined, they protect just 2.98 percent of the oceans, according to the Marine Conservation Institute, a marine science nonprofit based in Seattle. Two other measures fill in the picture. 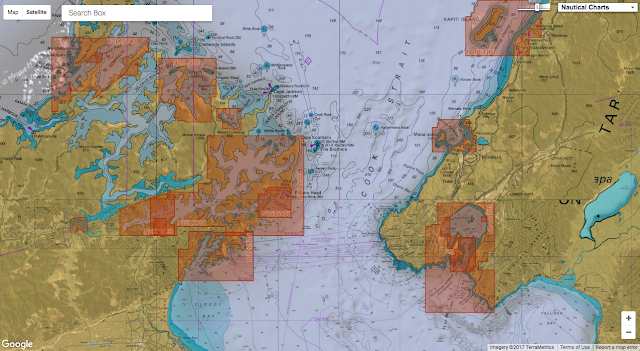 If the high seas is discounted, the remaining marine reserves protect 7.29 percent of marine habitats that lie within the 200-nautical mile exclusive economic zones of all countries. 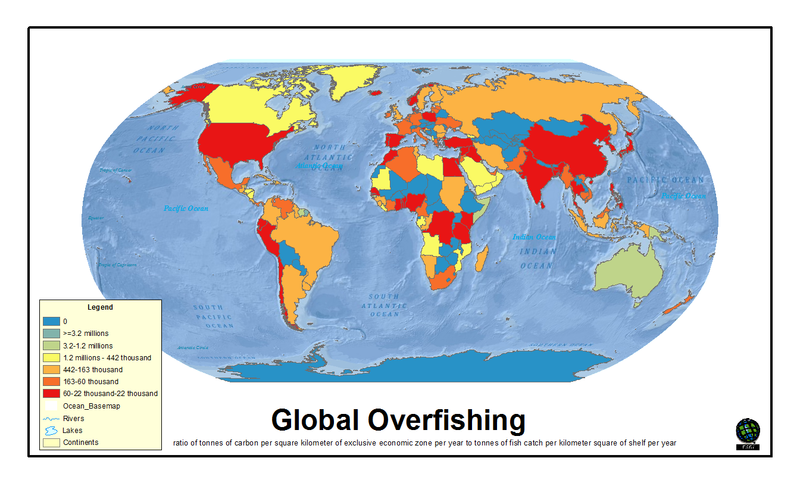 And if only no-take protected areas are counted, where fishing and all other extraction, such as mining, is prohibited, only 1.63 percent of the world’s oceans are covered. The no-take reserves are the strongest, but not well distributed across the globe, says Russell Moffitt, the institute’s conservation analyst. 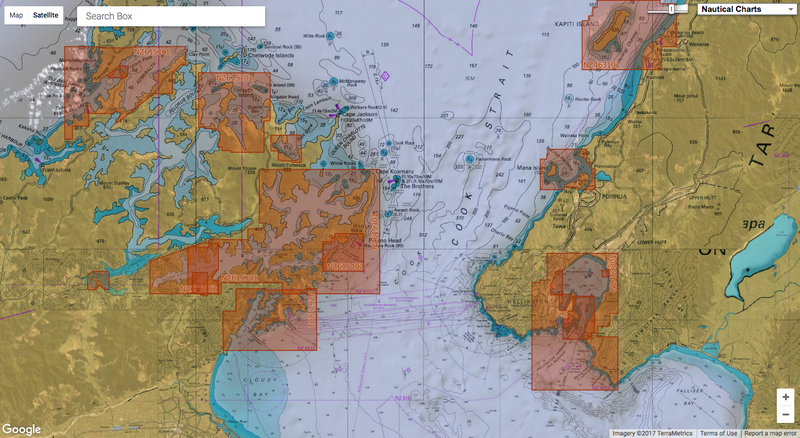 There are only about a dozen very large protected areas, including those in offshore territories of the Pacific Remote Islands Marine National Monuments, and Great Britain’s Pitcairn, and Chagos marine reserves. The United Nations, which this week convened its first-ever ocean conference in New York to address declining ocean health, has been pushing the world’s nations to protect 10 percent of the oceans by 2020. Some 500 new marine protected areas have been proposed, but many of those proposals have stalled or are languishing in committee and face long odds. Chile’s plans to create the Americas’ largest marine protected area to protect Easter Island fish stocks has bogged down in negotiations with the Rapa Nui, the island’s indigenous people. Likewise, proposed large marine parks in the Cook Islands and New Zealand’s Kermadec Islands have yet to materialize. Roberts and other marine scientists argue that the UN’s goals are not ambitious enough. 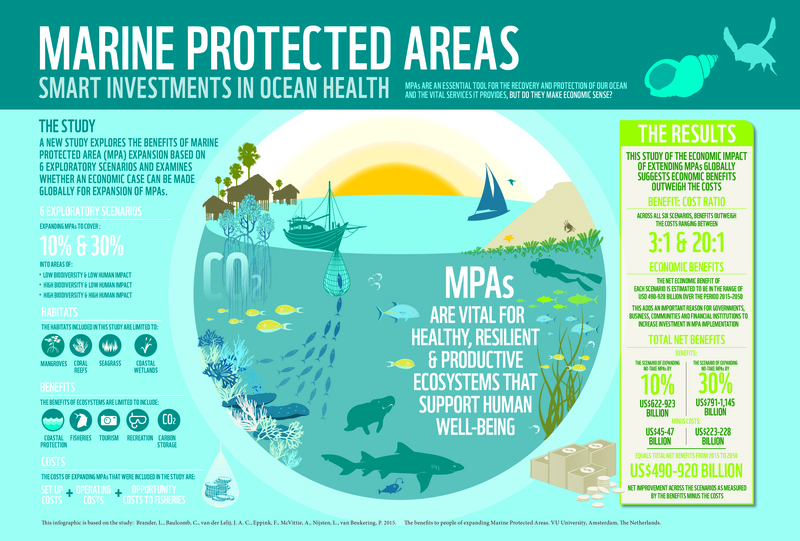 What’s really needed to restore the oceans to health, they say, is to protect 30 percent of the oceans in reserves. “Ten percent is a good step toward the goal, but we need to follow the science,” says Matt Rand, director of the Pew Charitable Trusts Bertarelli Ocean Legacy. Gabon is among a handful of nations that has already met the UN’s goal; it doubled it and did it three years early. It took a decisive president who saw up close what was at stake. The project also involved years of effort by conservation groups and government agencies, including the Wildlife Conservation Society, the Waitt Foundation, the Gabonese National Parks Agency, and National Geographic’s Pristine Seas project, which surveyed Gabon’s 550-mile (885-kilometer) coastline during a one-month expedition in 2012. Both examples of the treasures that lay hidden beneath the surface and the threats posed by illegal fisheries were presented to Gabon President Ali Bongo Ondimba on board Waitt’s research vessel, Plan B. Then and there, Ondimba decided to act and the plan to create the marine network was born. “The richness that we saw underwater in Gabon during our Pristine Seas expedition in 2012 blew our minds, but also (showed) the threats, mostly from industrial fishing,” says Enric Sala, National Geographic Explorer in Residence and marine scientist who helped Gabon develop their marine protected network. The plan was announced in 2014 and refined over the next three years into the new network of 20 parks and reserves. The largest protected area is the “La Reserve Aquatique du Grand Sud du Gabon,” which extends protection of the existing Mayumba National Park to the 200-mile nautical mile limit of Gabon’s exclusive economic zone. It protects 27,000 square kilometers (10,425 square miles) of marine habitats from the beach to ocean depths of four kilometers (2.5 miles). America rules the waves. But for how long? A Q-and-A with Admiral James Stavridis about China's fake islands, India's real rise and sea power in the 21st century. 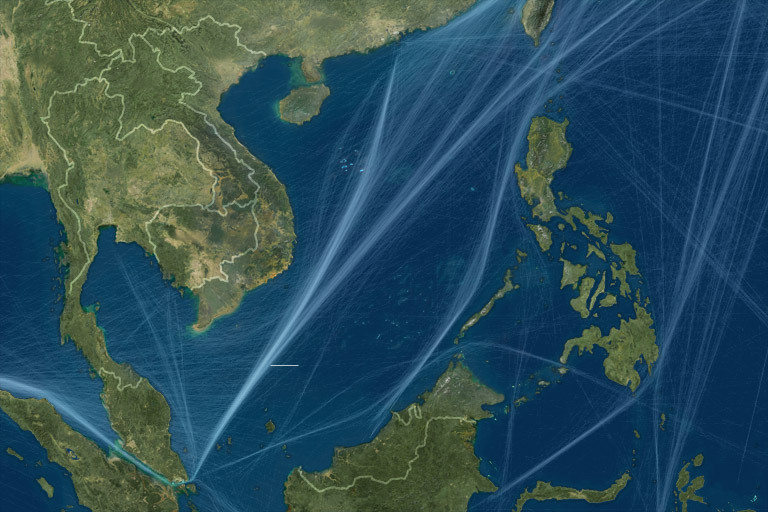 China builds fake islands in the South China Sea. Russia fires missiles into Syria from the Mediterranean and Caspian Seas. North Korea launches ballistic missiles into the Sea of Japan. The U.S. orders three -- three! -- aircraft carrier strike groups to the Western Pacific in response. Houthi rebels shoot rockets at U.S. ships off Yemen. 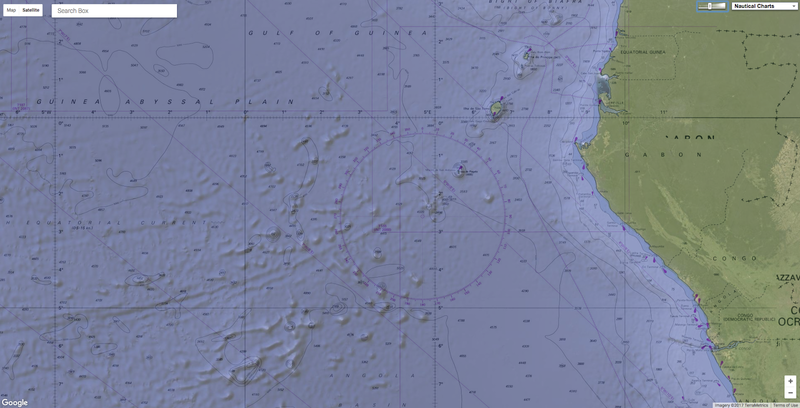 Pacific nations go on a submarine-buying binge. India and China start constructing their first homemade aircraft carriers. Pirates return to the waters off East Africa. You'd be forgiven for thinking that control of high seas is becoming more vital than any time since World War II. Which makes it the perfect moment for an authoritative new book on the role of sea power in shaping human civilization across the globe and across the ages. Into the breach steps James Stavridis, a retired four-star admiral and former supreme allied commander of the North Atlantic Treaty Organization. His new book, "Sea Power: The History and Geopolitics of the World's Oceans,"is a breezy yet comprehensive overview of the topic, as well as a sort of sailor's log and meditation on the power of the Great Blue. I decided a talk with Stavridis, now dean of the Fletcher School of Law and Diplomacy at Tufts University, could help put the rising tensions on the world's waterways into perspective. Here is an edited transcript of our interview. TH: Admiral Stavridis, before opening the book, I assumed it would be a technical treatise on naval strategy, a sort of 21st-century update of Alfred Thayer Mahan's epochal "Influence of Seapower Upon History." Instead, it's a very personal, impressionistic book; we learn as much about the adventures of neophyte Midshipman James Stavridis in the 1970s as about the Battles of Salamis, Trafalgar and Midway. JS: There will be other books, and I have in mind to expand on Mahan for the current age. But it took me 40 years to write about my life at sea, and I thought back on that and reflected on it in relation to today's world, with the return of great-power politics. I wanted to put the reader into the captain's chair. TH: You warn that the U.S. and China have to avoid the so-called Thucydides Trap, where miscalculation of an enemy's intentions can lead to an otherwise avoidable war. Given China's island-building and other aggressions, how can the U.S. and regional partners push back without pushing too far? JS: First thing, China plays the long game. They are not concerned with 10 or even 50 years into the future. They are looking centuries ahead. We need to match that mindset. The Chinese feel that they will inevitably dominate Asia and play from a position of confidence. They don't lunge for the ball, they pull at all levers: economic, political, historical and military. The appropriate response for the U.S. is to maintain itself as the pre-eminent Pacific power, not just militarily but through economic and geopolitical leadership. It is a region without a NATO, and the U.S. withdrawal from the Trans-Pacific Partnership was a giant miss for us. That makes it more vital to strengthen individual military relations with friendly nations. TH: You’re a former military commander of NATO, which many Americans think of as a ground force. But as you point out, in the Cold War, the Baltic Sea and the GIUK Gap 1 were tense places. With Vladimir Putin getting very aggressive at sea as well as on land, what can the alliance do in response? JS: Both the Baltic and Black Seas are inland lakes in Russia's eyes. NATO needs to deploy and conduct joint exercises repetitively; it can't just be the U.S. In the Baltic, operating with non-members -- the Finns and the Swedes -- as well as Denmark, Germany and Britain is incredibly important. Same thing in the Black Sea, with members Bulgaria, Romania and Turkey and non-members Georgia and Ukraine. However, these are relatively small, contained waters, so the possibility of a dustup is high. We need to adhere closely to "incidents at sea" agreements with Russia and operate in ways that can deconflict. And we need to use our land-based air in conjunction with the ships, because the Russians will. The overall strategy, at sea and land, is to reassure allies that we will be there in a crisis and to keep Vladimir Putin from "leaning in" with hybrid war, as he did in Ukraine. TH: How about in the Mediterranean? JS: In terms of refugees, both from the war in Syria and from Libya, we are only treating the symptoms, all the effects of the so-called Arab Spring. Right now, the Jordanians, Lebanese and Turks, with European money, have opened respectable refugee camps. But if that becomes unsustainable, if the tens of millions of displaced people see an opportunity to cross to Europe, they will. NATO has 800-plus ships and a fundamental role in all this, but we can be insufficiently mindful that the Med is an ocean highway. TH: You have a surprising prediction: that the 21st century will be more about the Indian Ocean and its appendages -- the Arabian Gulf and Red Sea -- than about the Pacific or Atlantic. How do you see this playing out, and what are the biggest opportunities and risks for the U.S. and its allies? JS: The biggest opportunity in geopolitics right now is the rise of India. By mid-century, it will be more populous and younger than China. It is centrally located, on both the continent and the sea. The ocean also abuts Africa, the fastest-growing place in the world. Indonesia will be the fourth-largest nation. We should be doing everything we can to partner with India. Yes, there is corruption and weak infrastructure. But it is a democracy and cohesive, and the elites speak English, plus a cultural affinity built by the British Raj. As for the Gulf, oil may become less important as the world switches to sustainables and other forms of energy. But the geopolitics, the fraught relationship between Iran and the Sunni states, will continue to create tensions and challenges for us. TH: All this means the U.S. ability to maintain a forward presence at sea will be further stretched. Our main tool for this has long been the aircraft carrier. Yet many people feel that the new Ford Class supercarriers are hugely vulnerable and no longer as important to projecting power. Do you disagree? JS: I think that is exactly half right. I think they are more vulnerable than ever because offensive weapons are better than ever: submarines are quieter, cruise missiles are more accurate, there is a growing ability to target from space. And the limited range of the new F-35 fighter is problem. It will mean having to integrate long-range, land-based air with the tactical punch from the flight deck. Yet the carrier strike group is still the premier flexible power-projection option. It can cover 700 to 750 miles a day. And the carriers are strongly protected by nuclear submarines and Arleigh Burke-class destroyers with Aegis missile-defense systems. If we went to war at sea, we would take some hits -- but I would still bet on the carrier. TH: When you describe the famed entry of Commodore Perry into Tokyo Bay in 1853, you call it an early example of what we now call "soft power." That's not a concept the Trump administration has a lot of respect for. What are the main ways you feel the military, and the Navy in particular, could use soft power to effect today? JS: In my career I had many opportunities to deploy aircraft carriers, but I felt the most effective were soft-power operations, and it’s the flexibility of maritime operations that made it work. Sending them, as well as our two hospital ships, the Comfort and Mercy, which can do hundreds of thousands of patient treatments on a single deployment, are the ultimate in disaster relief and humanitarian aid. For example, the carrier Ronald Reagan was the first foreign responder to the tidal wave and nuclear disaster at Fukushima, Japan, in 2011. That strike group provided electricity, refueling, medical care, etc. Same thing for the Indian Ocean in 2004, Haiti in 2010. It's not just emergencies. Engineers from our large-deck amphibious ships can come ashore in poor nations and install wells, build clinics and schools. Sailors set up health facilities, visit orphanages, run sports clinics. The Navy can be a symbol of U.S. confidence and compassion. TH: Last, one of your other big warnings is about environmental degradation -- both in terms of climate change and, more specifically, ocean pollution and destruction of fisheries etc. What needs to be done now to turn things around? JS: Donald Trump's decision to pull the U.S. out of the Paris agreement is a huge blow. Voluntary, international cooperation on emissions control is the way forward, and now that is in question. There are a lot of international organizations that work on fisheries, scientific monitoring, deal with pollution and the like, but they are mostly under the United Nations umbrella. And strengthening them under Trump will be tougher. In the U.S., we need better interagency cooperation: all cabinet-level and other organizations -- Treasury, Justice Department, Coast Guard -- working together to think through our regulatory regimes, share data, and reach a common understanding of how to go after lawbreakers. Oceans are the biggest crime scene in the world. But above all, we need better public-private cooperation. You cannot solve this globally without working with the companies that move 95 percent of the world's good across the ocean highway. It would be like developing a cyber-defense strategy without talking to Microsoft or Google. People call the Amazon the "lungs of the earth," but it's really the oceans. And if we cannot count on sustainable oceans, our future is bleak. GeoGarage blog : What does Trump's Paris climate decision mean? The current location of the rift on Larsen C, as of May 31 2017. The saga of the Larsen C crack is about reach its stunning conclusion. Scientists have watched a rift grow along one of Antarctica’s ice shelves for years. Now it’s in the final days of cutting off a piece of ice that will be one of the largest icebergs ever recorded. It’s the latest dreary news from the icy underbelly of the planet, which has seen warm air and water reshape the landscape in profound ways. Ice flow velocities of Larsen C in February 2017 and April/May 2017, from ESA Sentinel-1 data. The crack has spread 17 miles over the past six days, marking the biggest leap since January. It’s also turned toward where the ice shelf ends and is within eight miles of making a clean break. There’s not much standing in its way either. 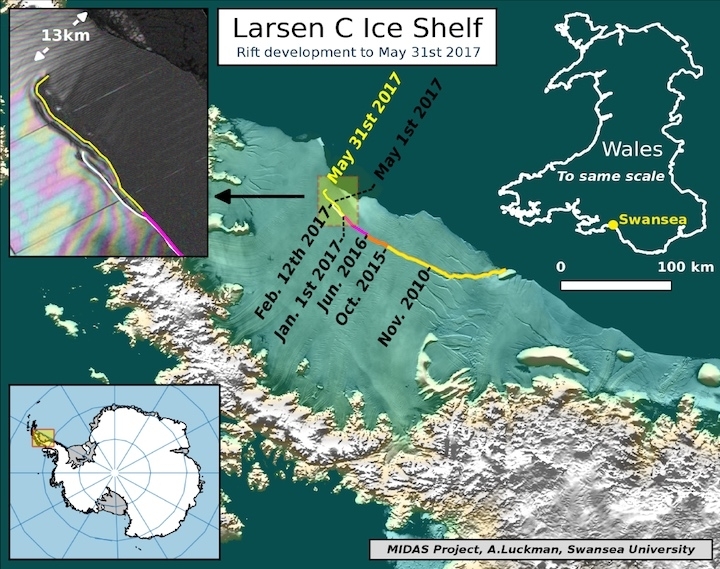 “The rift has now fully breached the zone of soft ‘suture’ ice originating at the Cole Peninsula and there appears to be very little to prevent the iceberg from breaking away completely,” scientists monitoring the ice with Project MIDAS wrote on their blog. British Antarctic Survey (BAS) recently captured this video footage of a huge crack in the Larsen C Ice Shelf, on the Antarctic Peninsula. Currently a huge iceberg, roughly the size of Norfolk, looks set to break off Larsen C Ice Shelf, which is more than twice the size of Wales. Satellite observations from February 2017 show a growing crack in the ice shelf which suggests that an iceberg with an area of more than 5,000 km² is likely to calve soon. Researchers from the UK-based MIDAS project, led by Swansea University, have reported several rapid elongations of the crack in recent years. BAS scientists are involved in a long-running research programme to monitor ice shelves to understand the causes and implications of the rapid changes observed in the region. They shot this footage as they flew over the ice shelf on their way to collect science equipment. During the current Antarctic field season, a glaciology research team has been on Larsen C using seismic techniques to survey the seafloor beneath the ice shelf. Because a break up looks likely the team did not set up camp on the ice as usual. Instead they made one-off trips by twin otter aircraft supported from the UK’s Rothera Research Station. Ice shelves in normal situations produce an iceberg every few decades. There is not enough information to know whether the expected calving event on Larsen C is an effect of climate change or not, although there is good scientific evidence that climate change has caused thinning of the ice shelf. Once the iceberg has calved, the big question is whether Larsen C will start to retreat. The growth follows reports from early May that the crack across the ice shelf had sprouted a branch, further underscoring how unstable the ice is becoming. Ice shelves float over water and essentially act as doorstops that hold back the vast Antarctic ice sheet. The breakup is sure to be a spectacle both awe-inducing and horrifying. The iceberg on the verge of splitting off is estimated to be the size of Delaware, covering an area of 1,930 square miles. That’s equal to 10 percent of the ice shelf’s total area. Once it breaks off, scientists are concerned that the rest of ice shelf could collapse afterwards, a fate that befell Larsen A in 1995 and Larsen B in 2002. In Larsen B’s case, the ice shelf collapsed in the span of a month following an influx of mild air. 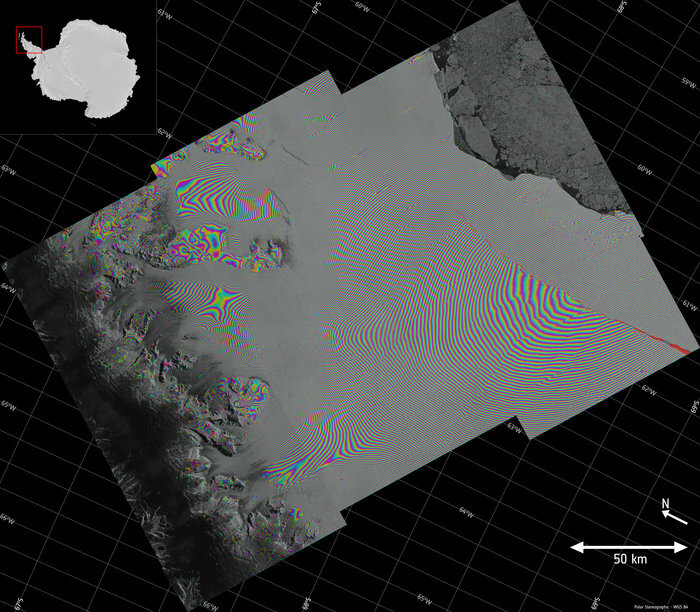 Two Sentinel-1 radar images from 7 and 14 April 2017 were combined to create this interferogram showing the growing crack in Antarctica’s Larsen-C ice shelf. When the ice shelf calves this iceberg it will be one of the largest ever recorded – but exactly how long this will take is difficult to predict. The sensitivity of ice shelves to climate change has already been observed on the neighbouring Larsen-A and Larsen-B ice shelves, both of which collapsed in 1995 and 2002, respectively. These ice shelves are important because they act as buttresses, holding back the ice that flows towards the sea. The Copernicus Sentinel-1 two-satellite constellation is indispensable for discovering and monitoring events like these because it delivers radar images every six days, even when Antarctica is shrouded in darkness for several months of the year. In February, the New York Times reported that when the iceberg breaks off, it will weaken or destroy two key areas where ice overlaps islands. Those areas help keep the ice shelf from falling apart. Losing them could dramatically reduce the remaining ice shelf’s stability. Larsen C is substantially larger than its former neighbors Larsen A and B, and its loss would be a huge blow to ice on the Antarctic Peninsula. The changes don’t just stop with the Larsen C crack or the Antarctic Peninsula in general. The vast majority of ice shelves are losing volume due to rising ocean and air temperatures. That’s helped prime parts of West Antarctica for what might be unstoppable melt that could raise sea levels at least 10 feet. Researchers also recently found meltwater ponds are much more common than previously thought. They even discovered a roaring seasonal waterfall on the Nansen Ice Shelf. These and other findings make clear that the Larsen C crack is just one of many changes happening to Antarctica. Global warming has pushed temperatures up to 5°F higher in the region since the 1950s and they could increase up to 7°F further by the end of the century, putting more stress on ice. Though the changes are happening in the most remote part of the planet, they’re being felt thousands of miles away as ice turns to water and starts to lap against increasingly beleaguered coastal communities around the world. And the impacts will only grow more severe unless carbon pollution is reined in. Nobleman, writer, adventurer and inspiration for the swashbuckling gun runner in the Adventures of Tintin, Henri de Monfried lived by his own account ‘a rich, restless, magnificent life’ as one of the great travellers of his or any age. 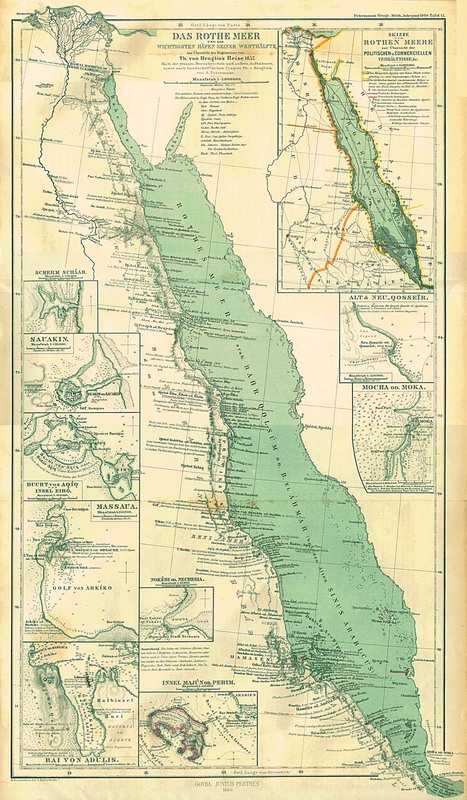 Infamous as well as famous, his name is inextricably linked to the Red Sea and the raffish ports between Suez and Aden in the early years of the twentieth century. Henry de Monfreid's most popular book is Hashish: A Smuggler's Tale. He seeks his fortune by becoming a collector and merchant of the fabled Gulf pearls, then is drawn into the shadowy world of arms trading, slavery, smuggling and drugs. Hashish was the drug of choice, and de Monfried writes of sailing to Suez with illegal cargos, dodging blockades and pirates. Henry de Monfreid onboard «Obok» sailing boat, with his son Daniel and his grandson Guillaume, April 17th 1962 (crédit Jacques Barde/l’Indépendant). "Never be afraid of life, never be afraid of adventure, trust chance, luck, destiny. Go, go and conquer other spaces, other hopes. The rest will be given to you." a few days before dying in 1974 at the age of 95. France Inter Radioscopie : Henry de Monfreid : "Chaque temps fait ses hommes"
Jack O’Neill, surfer, ocean lover, boating enthusiast, wetsuit pioneer, balloonist, and founder of the iconic worldwide surf company O'Neill, has passed away in Santa Cruz, California, of natural causes at the age of 94. Jack O'Neill is one of the most notable surf industry pioneers and ocean conservationists. His development of better wetsuits enabled surfers to surf in cold waters never before imagined.